There’s nothing worse than a leaky chimney. It ruins ceilings, bedroom walls, fireplaces, and causes all kinds of frustration. And when the leaks start, the chimney flashing is a common place to look for problems. Flashing serves as a primary point of defense against the leaky chimney. But how do you know if your flashing is really the problem? Sadly, tons of money gets wasted every year on flashing repairs that are not needed. So before you jump straight to conclusions, let our team of chimney experts help you determine if your flashing is really the problem. A water test is really the only true way to know if your flashing is not doing its job. 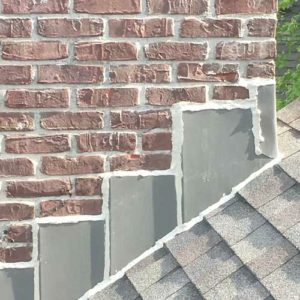 Chimney flashing is made up of two layers: step flashing and counter-flashing. 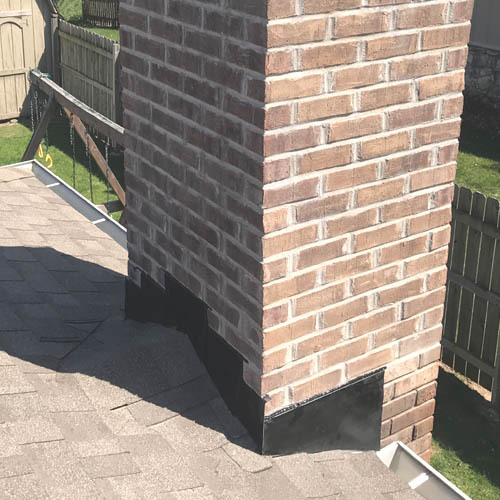 Step flashing is what keeps water from getting between your roof and the chimney, preventing it from running down the chimney face and into your attic. It’s not uncommon for us to come across jobs where step flashing wasn’t even installed! This can cause major water problems and should be addressed immediately. Counter-flashing is the layer used to keep water from getting behind the step flashing and gives the flashing a nice finished look. 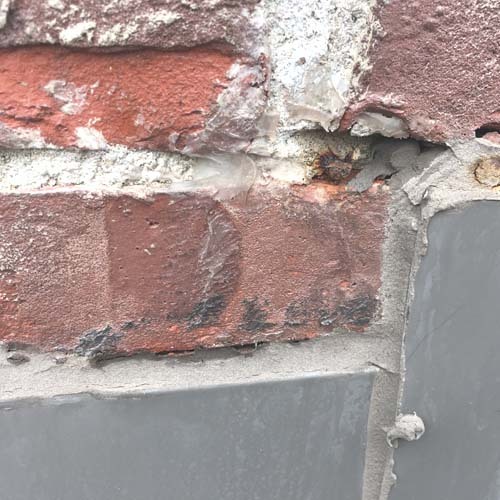 Properly installed counter-flashing should be embedded in the mortar joint and not simply stuck to the chimney face. 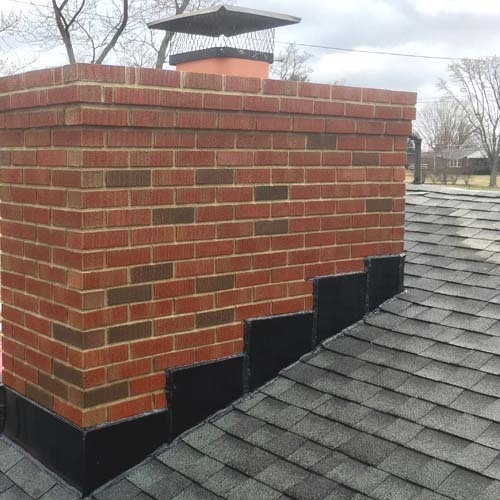 Our team in purple can help you decide whether your chimney flashing needs attention or not. We can verify if both layers of chimney flashing are present, make sure it is properly embedded in the mortar joints, ensure a water tight seal, and perform a water test if needed. 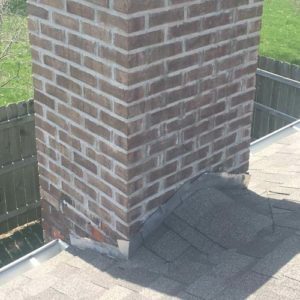 Don’t use a roofer! This is a chimney matter. Schedule an inspection today to have one of our chimney experts come help you with your chimney needs. 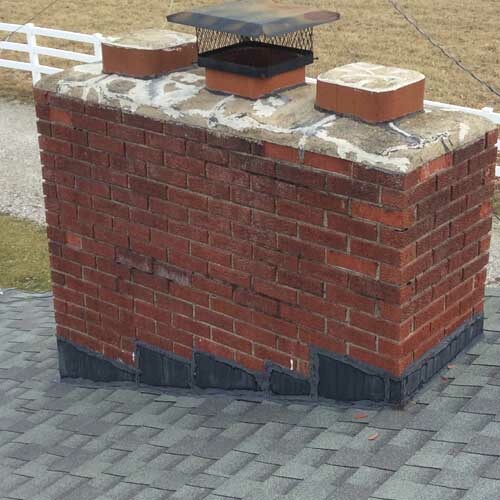 Check out some examples below of both proper and improperly flashed chimneys.